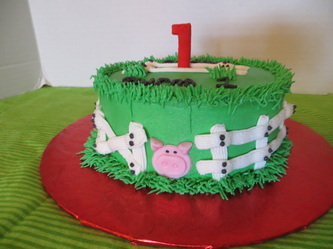 These are the cupcakes. I didn't really get any close up photos of them, but this is the entire dozen that I made to match the guest cake and smash cake. 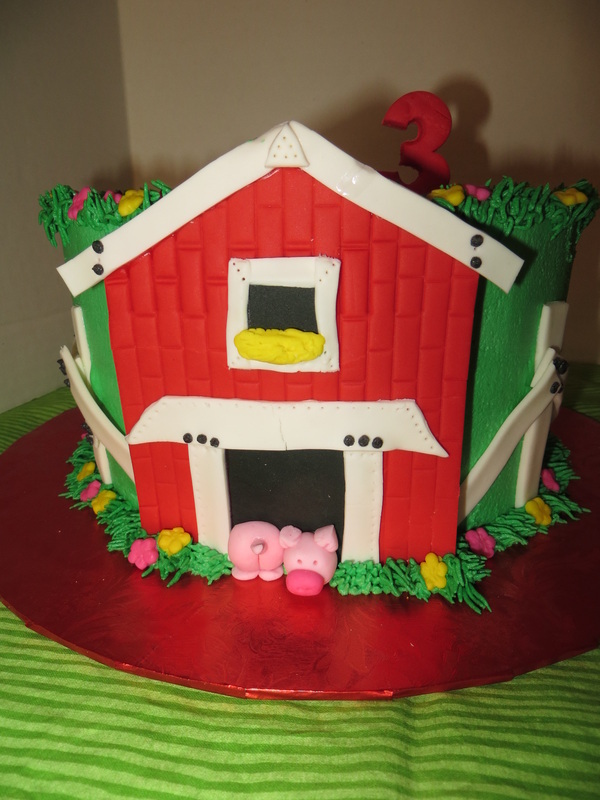 There are two chickens, two sheep, two black cows, two pigs, two ducks and two brown cows. 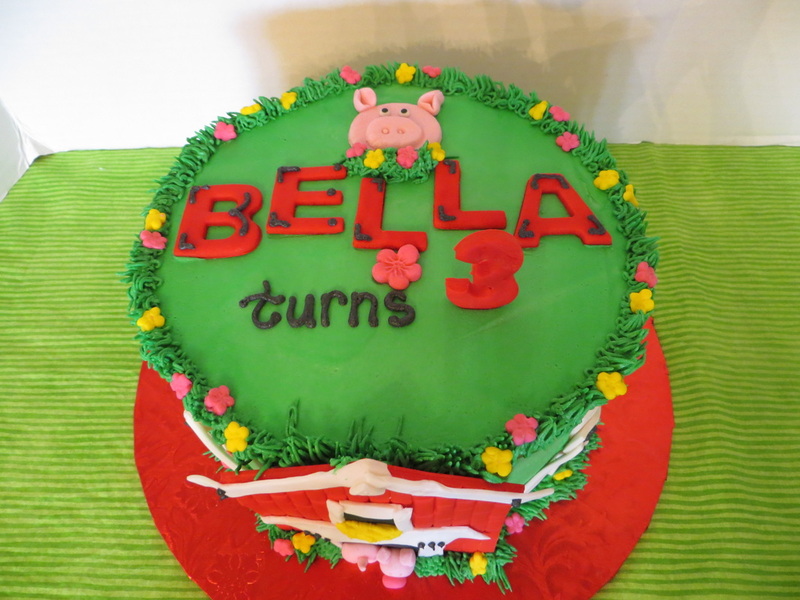 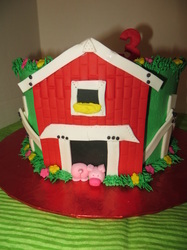 This cake was for 3 year old Bella. 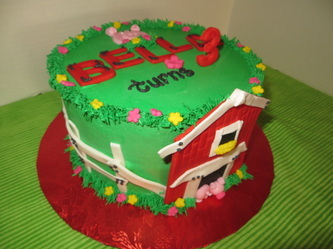 I added some flowers to make it look a little more "girlie" but her mother told me she was SO EXCITED about her farm cake. Mom, Dad and baby brother came to pick it up I hope she liked it when she saw it. 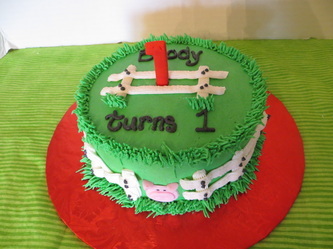 This cake was for Brody to enjoy himself. 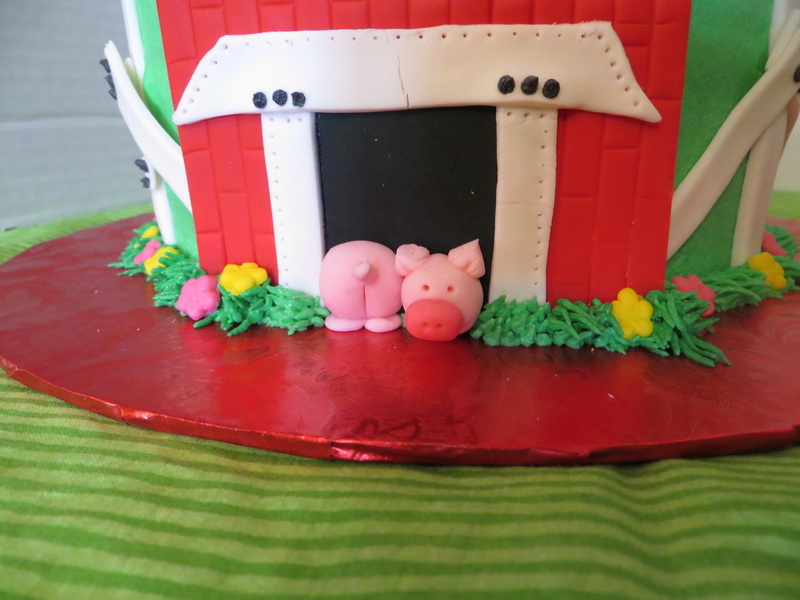 The pig face was fondant and I told the parents it was the only part of the cake that wasn't buttercream (except for the #1 on top of the cake, of course).